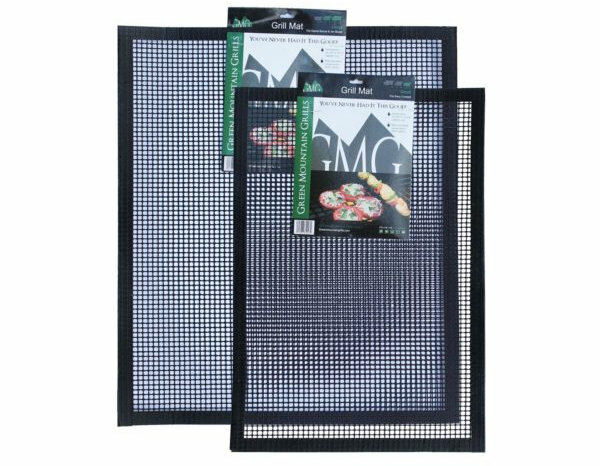 We love these Green Mountain Grill-Mats! They keep food from falling into the grill! They are Teflon-coated fiberglass fabric cooking mats and safe for use up to 450°. The G-Mats are non-stick (both sides are usable).